'Duches of Buccleuch', London Midland & Scottish Railway locomotive, 1938. 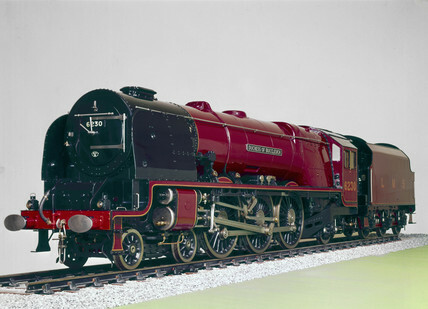 Model of the 'Duches of Buccleuch', a London, Midland & Scottish Railway (LMS) 4-6-2 steam locomotive. The locomotive was built for the LMS in 1938 at Crewe, at a cost of £11,302. The Duches of Buccleuch was eventually sold for scrap in 1963.